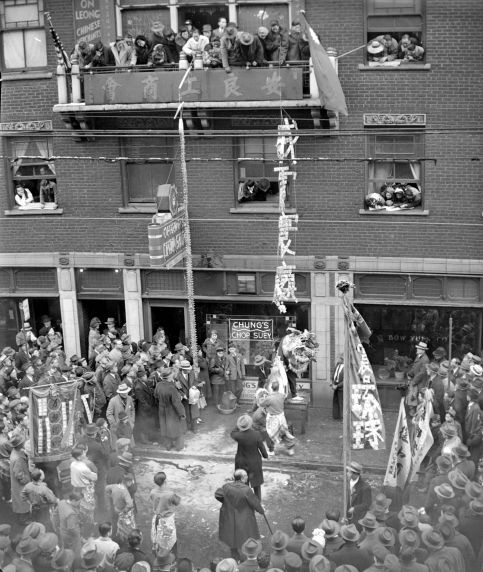 Chinese New Year Celebrations erupt in front of the On Leong Building, located at 1341 Third Avenue in Detroit's first Chinatown. At center, Chung's Chop Suey is in view. Caption on accompanying article reads: "A Dragon of Victory Routs Evil Spirits. Chinatown feeds him $2000 in war relief."